Earlier this year, Lenovo started something special. It launched a modular smartphone hardware program that wasn't just a bunch of accessories for one phone (with the promise that hopefully, maybe, some of that hardware might also work with some future handset). Instead, it was an ecosystem: multiple add-on modules, and multiple phones, for users to mix and match as they desired. With support for just two phones and a handful of modules, it was still in its infancy, but it felt like what really could be the beginning of a lasting modular platform. Moto Mods may have gotten rolling with the Moto Z Droid and Moto Z Force Droid, but that's just the first chapter of this modular story, and now Lenovo's back for round two, bringing us the third Moto Z phone to take advantage of Moto Mods expansion – and one without a flagship price this time around. Does the new Moto Z Play Droid give you everything you need to enjoy the exciting new world of modular smartphone hardware while also helping to keep costs down? 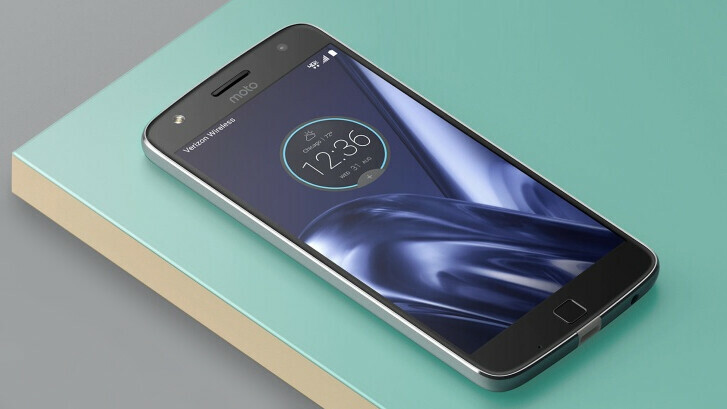 Or will you ultimately find yourself wishing you held out for a full-fledged Moto Z Droid flagship? We're putting the most affordable Moto Z through its paces in the hopes of finding out. When you're doing modular smartphone hardware like Lenovo is, you quickly find yourself locked in to one phone design; for all Moto Mods to be compatible with every Moto Z family member, we're looking at handsets that need to share the same basic layout. 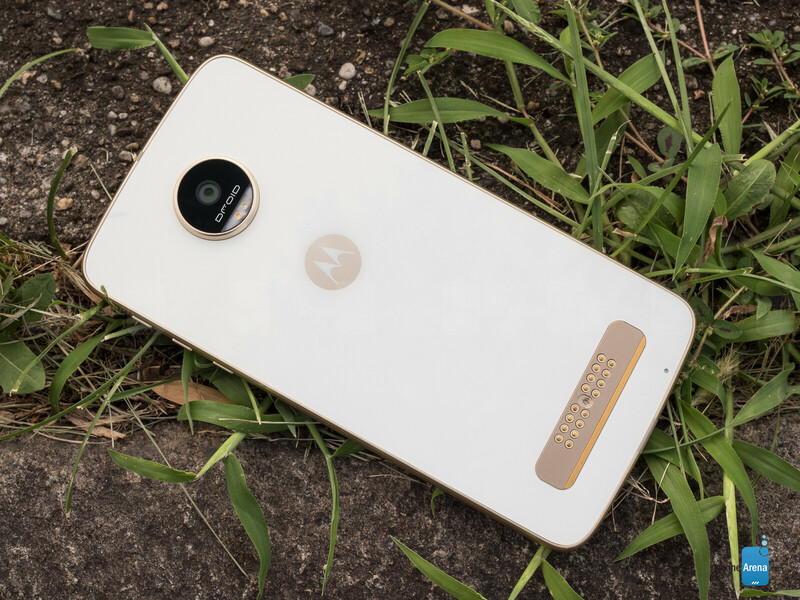 As a result, the Moto Z Play Droid is one heck of a familiar-looking unit, borrowing the same basic styling as the Moto Z Droid and Moto Z Force Droid. And while it's not anywhere close to the super-thin construction of the Moto Z, the Play comes in with nearly the very same dimensions as the thicker Moto Z Force – a fraction of a millimeter of wiggle room here and there, but basically the same size and shape. While that might have you thinking that Lenovo took the Force and swapped out a few components for the Play, the truth is a little more interesting, and we see a number of changes to how the phone's put together. For one, screen placement shifts, with the display resting slightly lower down on the Play than the Force, and at the same time, the “Moto” logo jumps from below the screen to up top. As a result, the Play is slightly more one-hand-friendly than the Force. Front-facing camera and flash components swap locations on the Play, but that's a change of little consequence. More interesting is the revised take on the handset's edge design, and while the Force has a nice little pointed ridge that runs all around its edge, the Play goes for a smooth ridge-free curve. Finally, and maybe the most impactful of the differences between the Play and Force's layouts, the Play arrives with an analog headphone jack on the phone's bottom edge, adjacent to the USB Type-C port (the very same one the Force used for audio output – with the included adapter). Why there's room here and there wasn't on the Force is only for Lenovo to say (and we wouldn't be surprised if there was room previously, but the jack's absence was a strategic decision), but we're happy to see it back here. No matter which Moto Z phone you go with, you're looking at a 5.5-inch display. But already with the Moto Z and Force we saw some variation, as the Force picked up a shatter-proof screen. 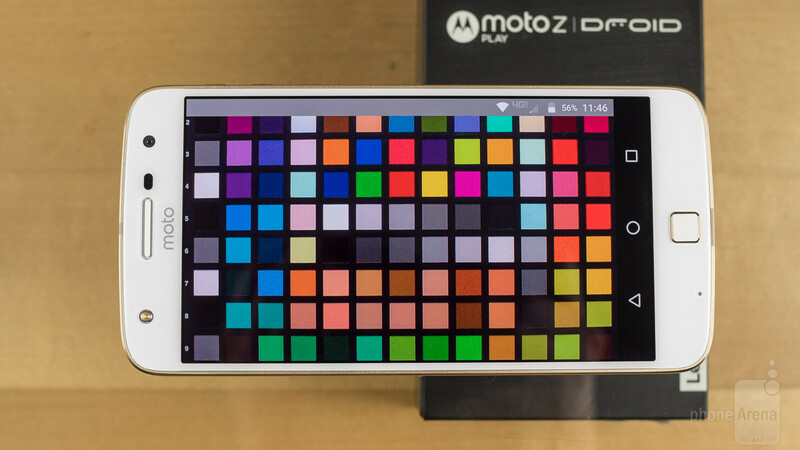 Those differences continue with the Moto Z Play, as it swaps out the quad-HD 1440 x 2560 panel of the previous two Moto Z phones for a lower-res 1080 x 1920 screen. It's still a nice, crisp AMOLED display, and especially with the phone's “vibrant” color-enhancement mode engaged, one with some really bold, satisfying hues. Testing revealed the screen to be about as bright as the displays on the Moto Z and Force when manually setting the brightness, though those two models were capable of significantly brighter output in auto-brightness mode – and as a result, have a leg up over the Play in outdoor readability. More than this screen resolution being sufficient for what the Play is doing, keeping pixel count in check can only help improve the screen's power consumption – and as you'll begin to see revealed over the course of this review, power management ends up being one of the phone's biggest wins. Legit thought it was an early i review...good review by PA with a score I can agree on. I don't! This is DEFO not better than Honor 8! PA AGAIN praising USA manyfs. Just bcos it is from usa they had to or theyvmust rank it high..
Lenovo is a Chinese company... The phone isn't manufactured in the US... I'm not sure what your point is? In same ways this is better than the Honor 8, in other ways it is worse. I'm sure a 652 wouldn't be bad when it comes to efficiency but the current processor in use still feels smooth on the Z Play. Some people may have faulty units. The call quality on my Force is loud and clear though a recent update rendered notification sounds to be quiet yet ringtones and alarms remain really loud. The battery life is still really good but sometimes Google Services randomly eats up my battery life. Consumer Reports did give the Z series 4/5 stars on call quality, which was about as good as any touch screen received in their rankings. 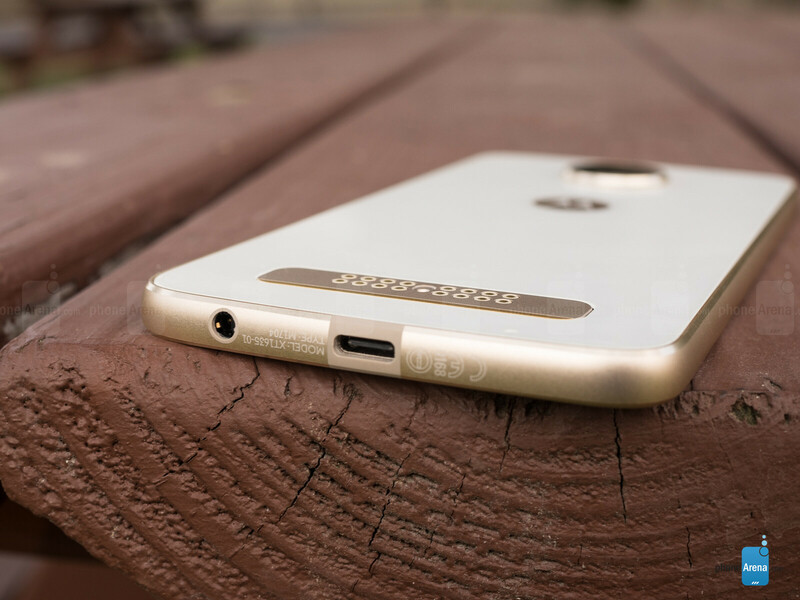 It must pain Verizon not to call this the Droid Maxx 3. 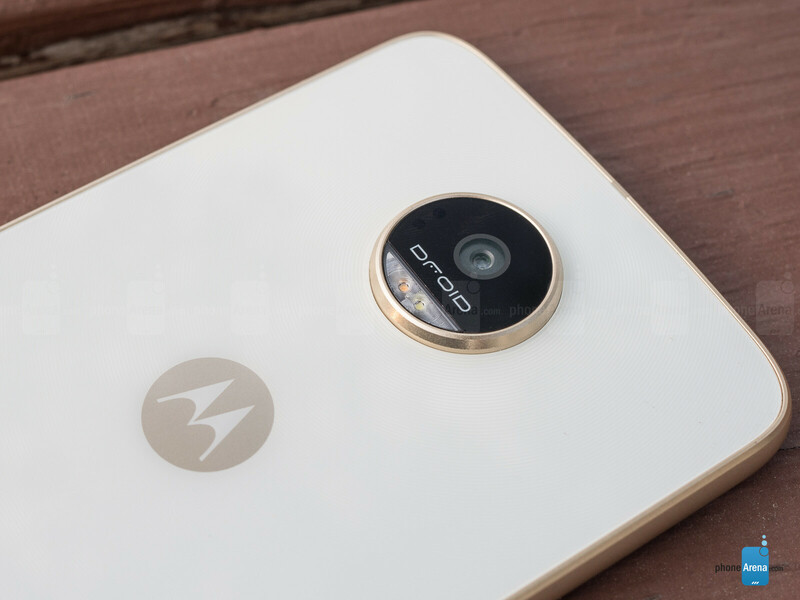 Now that the Droid brand is secondary to the Moto brand, can they finally let it go? This seems like a solid phone. Decent review. I get it... its all decent and great and all... but then again id take those $400 and get a Axon 7 or a One Plus 3 (im sure they dont do as well on battery life, but then again you cant have it all, QHD panels, SD820, 4GB and 6GB of RAM). IMO those 2 are better (way better) options than the Z Play Droid. Not on Verizon...The Z Play Droid looks like the best mid range option on Verizon. From Consumer Report reviews of one plus 3 and Z Droid series, it sounds like they are very similar. The One Plus may be a little better with video because of the processor (but lesser battery life). I saw the Z play this week, and it's much nicer than the older Turbo2 despite better price point. It compares well to the 600.00 Z Droids. I understand what you are saying, but the software on the ZTE Axon 7 is nowhere near as good as the software on here, though it does beat it everywhere else; the OnePlus 3's battery life doesn't come close to this thing and it has no expandable storage. I really wish this thing had a SD652; that would lower battery life a bit due to the use of Cortex-A72 cores, but that would be fine considering this already has some of the best battery life as is. Good review, good phone if you're not a flagship guy. Sorry "PhoneFix" but the logic in your comment seems illogical; rather hostile as well.